Cotswold Computer Medic have been repairing and maintaining computers in Gloucester, Cheltenham and surrounding areas since 2005. We have a team of experienced and professional computer repair technicians specialising in helping Home users and Small Businesses. We have a strong and growing client base in the Cheltenham, Gloucester and surrounding areas. We are proud to be a company that offers a fast, efficient and friendly computer repair and maintenance service for all your computers and laptops. Our Computer Store and Repair Centre in Gloucester is directly opposite Gloucester Rugby Club – Parking is easy – right outside and we’ll even come to your car and help you bring it in if it’s too heavy. GIN is a networking group for businesses based in Gloucestershire whose main purpose is generate business for one another. We meet on a weekly basis to pass referrals, exchange advice, collaborate on new ways of doing things and have a great time meeting people. GIN is non profit making with all contributions going towards the group and its members. Cotswold Computer Medic is proud to support the Gloucestershire Constabulary drive for safer cyber security and staying safe online in Gloucestershire – you can pick up a leaflet in-store at our Repair Centre opposite Gloucester Rugby Club or visit our Staying Safe Online page for advice. 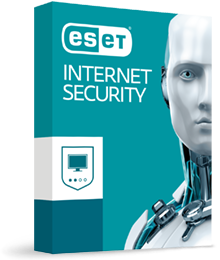 We are an approved reseller for ESET Internet Security Products and can offer advice on the right solution for your home or business no matter how many machines or devices you have. You’ll be safer in the knowledge that you have the correct internet security package for your needs. We can also advise you on the supply and integration of a comprehensive backup solution. Steve set me up with a new laptop and transferred over all my important documents very efficiently, sorting out various issues in the process. He has also been very helpful with any follow-up questions I have had. Before purchasing the laptop he provided detailed advice on what was available and what would be suitable. Very satisfied with the outcome. Thanks for your help, knowledge and know-how. All much appreciated. Thank you. We popped into the shop to see Steve about a new computer as he'd recently setup a new laptop for my brother in law and i loved it. He convinced me that there was nothing wrong with mine. It just needed an overhaul. Very honest and trustworthy advice received. Thank you for all your help. My computer is now my friend again and I will have no hesitation in recommending you and your excellent service to all my friends and acquaintances. They didn’t try to baffle me with technical jargon and charged a very fair rate for their services. The service you gave us was exemplary and everything was explained to us in plain english. Many thanks for fixing my computer and for retrieving all the documents that I thought I would never see again! I can now sleep at night! Excellent job, and I will definitely recommend you to all my friends. Thank you very, very much for sorting my laptop out so promptly. I can’t believe the difference … it is working really, really fast again! Whether your computer is slow or not working, emails are not sending, internet is crawling or you are simply fed up with error messages you do not understand, at Cotswold Computer Medic “we make IT better”. We will come to your home or place of work and resolve the problem onsite, on the rare occasions we have to bring the computer back to our repair workshop, based in Gloucester and Cheltenham, we will return your equipment back to you as quickly as possible and reinstall it for you. Cotswold Computer Medic support homes & small businesses in the following areas of Gloucestershire : Gloucester, Cheltenham, Stroud, Tewkesbury, Dursley, Cam, Forest of Dean, Frampton on Severn, Berkeley, Quedgeley, Norton, Sandhurst, Kingsholm, Tredworth & all surrounding areas within GL postcodes.